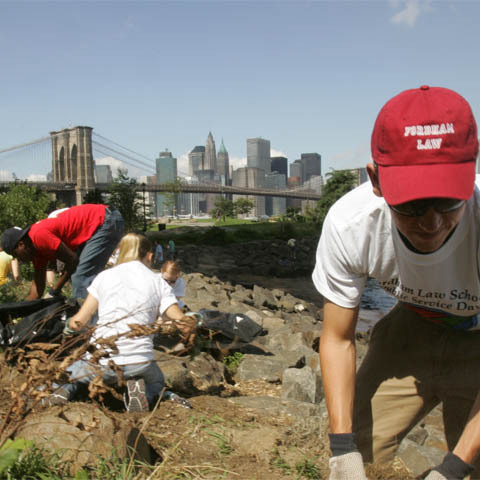 At Fordham Law School, “In the service of others” is more than our motto. 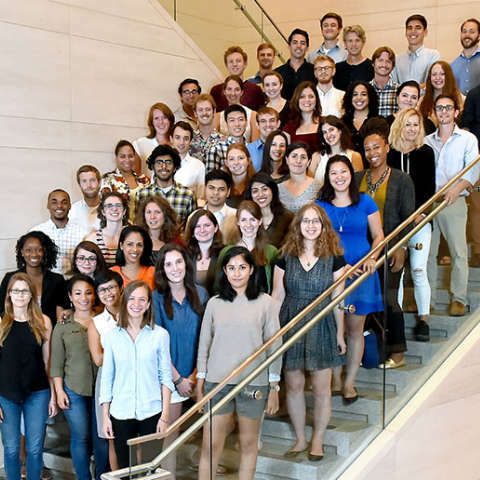 We prepare Fordham Law students to confront the challenges of our times—to become leaders in the legal profession who will effect real change through principled, ethical lawyering; through active citizenship; and through an unwavering dedication to justice. This is a part of Fordham University’s larger mission and its legacy of creating men and women for others. Our faculty engages in substantive public service and produce cutting-edge academic scholarship that impact law, policy, and professional practice. 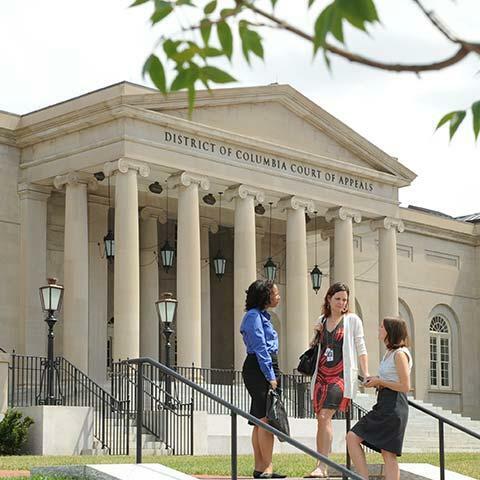 Our alumni pursue public service through careers in government; nonprofit, public interest organizations; and through pro bono work at law firms or corporations. 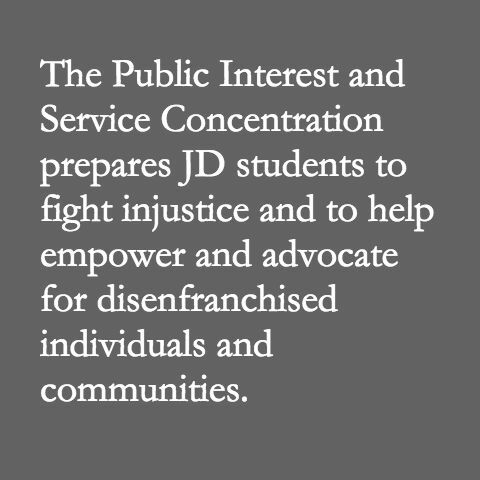 From student-initiated groups and service-oriented legal centers to specialized academic courses, to the experiential learning opportunities of clinics and externships, Fordham Law provides countless avenues for students to pursue public interest and service — and to learn about, practice, and get involved in social justice lawyering. 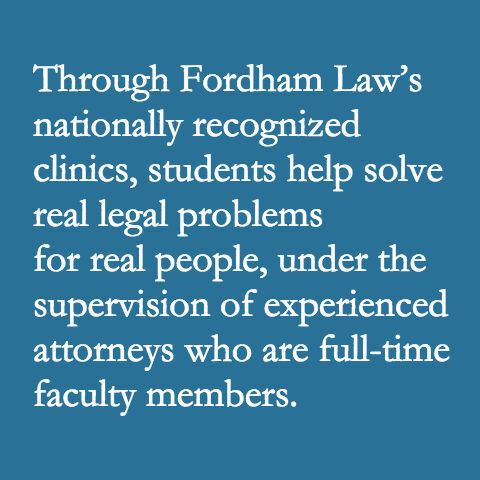 Fordham Law is home to centers and institutes that pursue vitally important work to improve the lives of individuals, strengthen communities, and fight for justice worldwide. 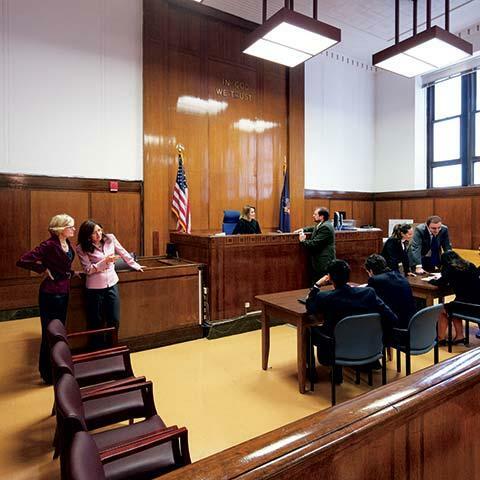 Through our Externship Program, students earn academic credit as they work alongside lawyers or judges in a number of professional legal environments, and combine this work with academic reflection. An array of loan repayment options, including loan repayment assistance programs, are available for graduates who pursue public interest careers. 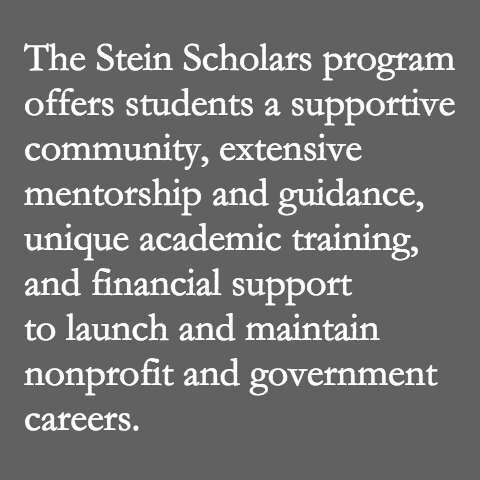 The summer is an excellent time for students to immerse themselves in full-time public service work, and funding support is available.